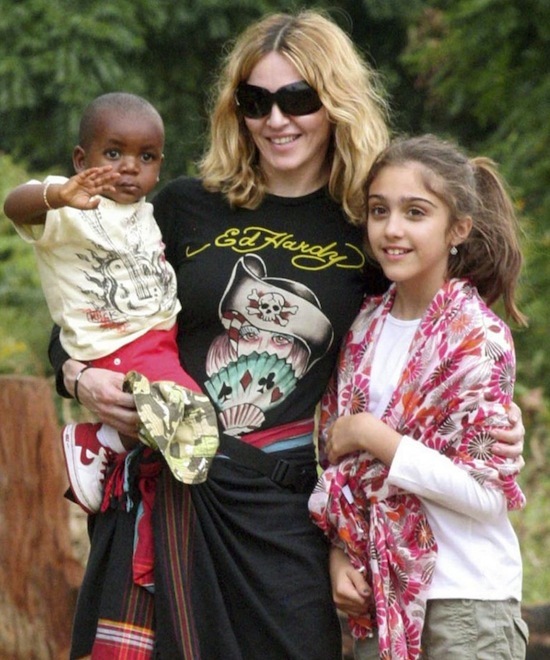 On January 8 2013, Raising Malawi announced that Madonna’s on-going commitment to Malawi had completed the construction of ten primary schools to support the education of orphans and children of the country. The new schools serve to educate 4,871 children. The new schools were the result of a partnership between Madonna, her charity Raising Malawi and the global non-profit organization buildOn. The tens schools were built six months ahead of schedule. My family and I are on our way to Malawi to attend the ground breaking ceremony for Raising Malawi Academy for Girls. The ceremony will take place on Monday, October 26 at 3:00 p.m. on the future site of the Academy. Our vision for the school is to empower girls to become Malawi’s future leaders. Our goal is to teach them to challenge themselves, serve their local communities and develop their country. We created this vision in partnership with the local Malawian Ministry of Education, and other educational experts from Malawi, Sub-Saharan Africa and elsewhere around the world. We are developing and using innovative educational approaches, cutting-edge architectural design methods, and other modern technologies, which we hope, will become a replicable model for girls secondary school education. Research proves that young girls throughout the developing world are often left without opportunities to receive a comprehensive education and the benefits that education can provide. It’s an honor for me to be able to help as many of these girls as I can achieve their dreams. I’m also incredibly proud of all the projects Raising Malawi is involved in and I look forward to visiting a number of them during my visit.